7 Night and 10 Night Itineraries Available! In the midst of the South Pacific, the Solomon Islands is part of the coral triangle and home to some of the best, least visited scuba diving in the world. There is an amazing diversity of marine life, dive sites and experiences, all a short flight from Australia or Fiji. 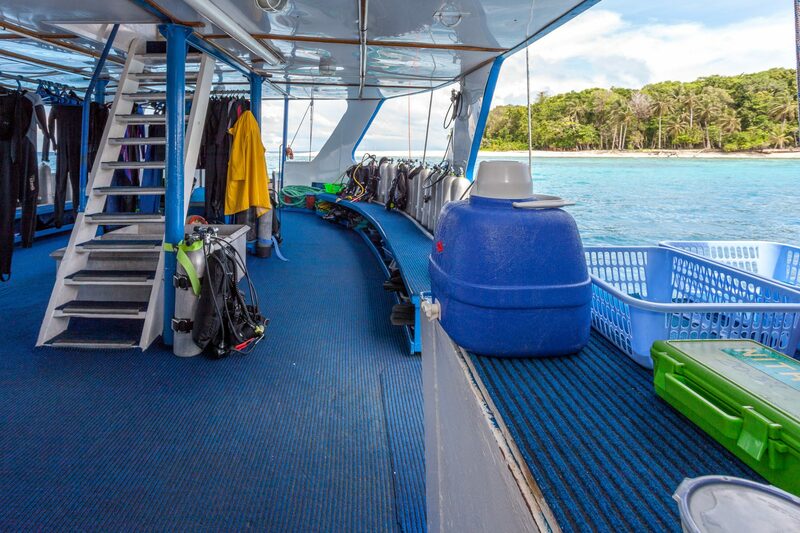 Bilikiki Cruises has been running liveaboard diving trips in the Solomon Islands for over 25 years and our experienced crew know the best dive sites that the Solomon Islands has to offer, so come dive the Solomons in comfort and style! 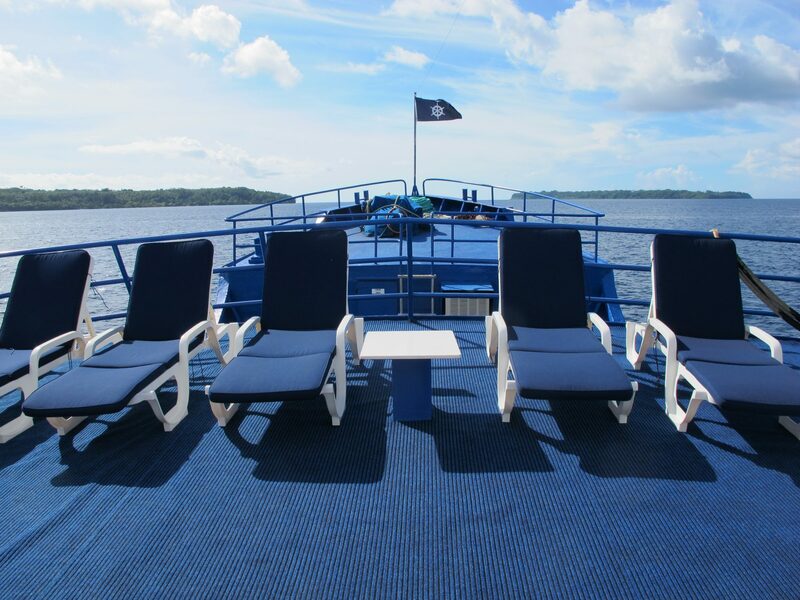 MV Bilikiki has 10 deluxe cabins, eight with a double bed and single bunk and two with twin single beds and no bunk (cabins #1 & 2). All cabins are air conditioned and have their own en-suite. 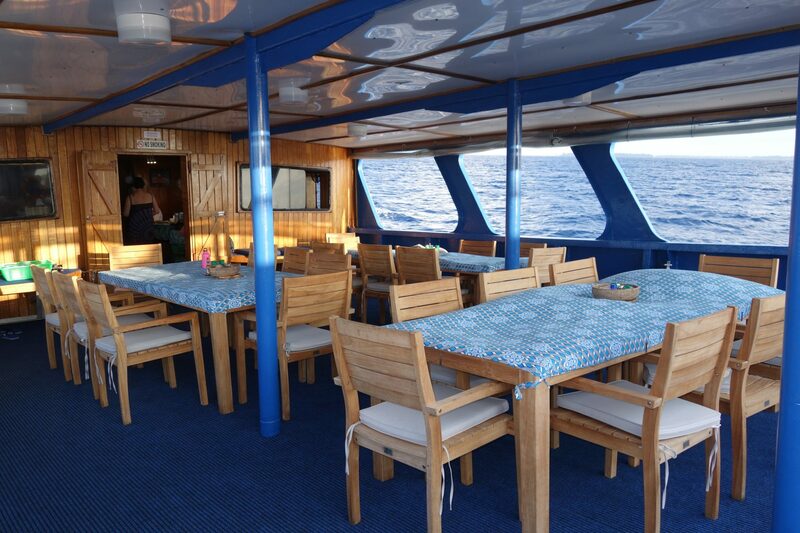 There is a large sundeck, comfortable lounge and camera area and spacious dive deck. 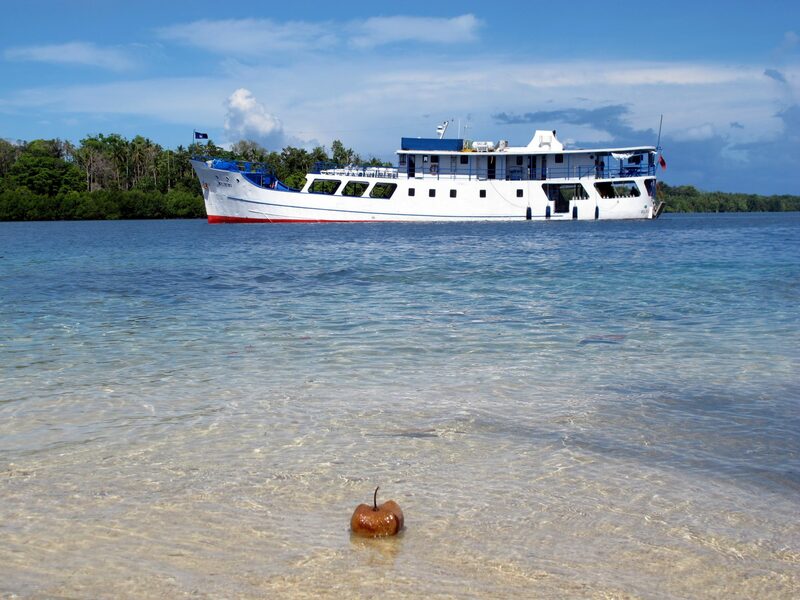 The Solomon Islands has an amazing array of varied, rarely visited dive sites. 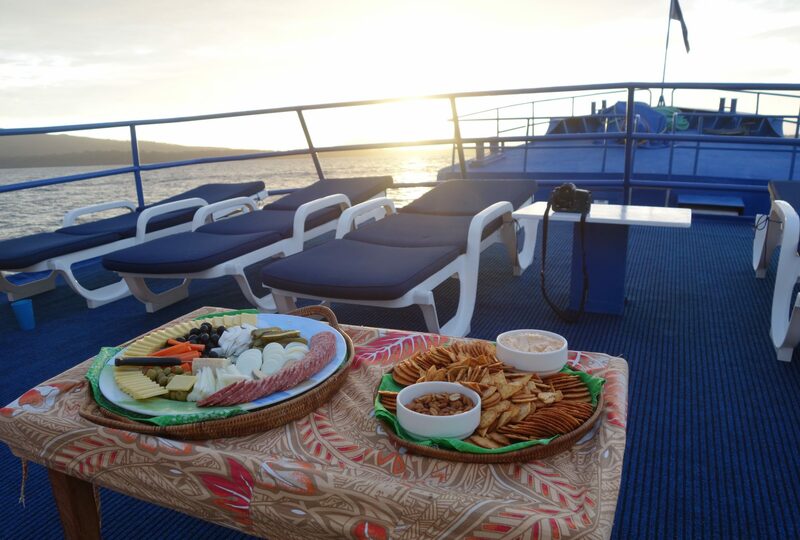 Bilikiki Cruises does not have a fixed itinerary for dive sites but goes to the best spots possible for the conditions and the interests of our guests. During a 7 night trip we visit the Russell Islands, Mary Island and the Florida Islands to dive the stunning reefs of these areas. We also visit a village to see custom singing and dancing and to see traditional life. On a 10 night or longer trip we also visit the Marovo Lagoon area of the Western Province. On the longer trips the Bilikiki will stop at other villages to see the famous wood carvings of the area. Here you will have to chance to see and buy hand made carvings and other amazing traditionally made items. Village visits are arranged during the surface intervals so as not to effect the number of dives offered per day.